Live theater’s popularity among young adults in China–and content in the public domain–have to do with strong performances by titles from two authors in March, one Japanese and one American. In January at Publishing Perspectives, we looked at the 20-year windfall of literature entering the public domain in the States thanks to the expiration of the 1998 Copyright Term Extension Act. Today, there’s an interesting look at how a book entering the public domain is doing in another market. 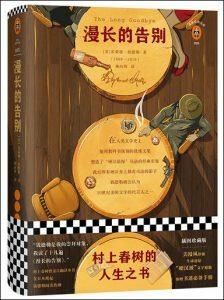 Raymond Chandler’s 1953 The Long Goodbye is a hit in China. 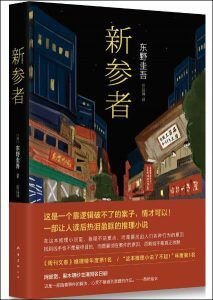 Published there in September by Hainan Publishing House, it’s now at No. 23 on the OpenBook fiction bestseller list for March, This, despite the fact that there are 10 editions of the book on the market, thanks to its status in the public domain in China. Hainan, we’re told by Rainy Liu at OpenBook in Beijing, has marketed its edition of the book as a classic, rather than as a private-eye (Philip Marlowe) mystery, and is using the slogan, “No wonder Haruki Murakami has read it 12 times!” to impress readers—a tactic that may indeed be working, as the Hainan edition has sold more copies than the other nine editions on the Chinese market. None of those others has moved onto the charts. Otherwise, the main fiction list in China once more proves to be a slow moving one, with the Top 10 titles little changed except for the rise of Claire McFall’s Ferryman by 11 points to arrive at No. 8. Another interesting trend shows up in a rise in recent years among young Chinese readers in live stage performance. Theater there, like film in China and other markets, offers a development direction for publishers that can add up to increased sales. An example of this is found in the books of the major-favorite Japanese author in China, Higashino Keigo, whose titles are monthly fixtures on our charts. Since last year, OpenBook is pointing out, a number of Keigo’s works have been adapted for the stage, including Journey Under the Midnight Sun and Miracles of the Namiya General Store. And this month, you might notice a newcomer titled Newcomer on the list at No. 30. That’s a new Keigo. And the Japanese stage play adapted from the book has led to a Chinese adaptation for theater. 9 10 9787544270878 2014-04 Miracles of the Namiya General Store Higashino Keigo Nan Hai Publishing Co.
18 15 9787544291163 2017-08 Journey Under the Midnight Sun (2017 Version) Higashino Keigo Nan Hai Publishing Co.
17 16 9787544291170 2017-08 One Hundred Years of Solitude (50th Anniversary Edition) Gabriel García Márquez Nan Hai Publishing Co.
24 21 9787544267618 2014-06 The Devotion of Suspect X Higashino Keigo Nan Hai Publishing Co.
26 22 9787544285148 2016-10 Malice Higashino Keigo Nan Hai Publishing Co.
Not Ranked 25 9787544291224 2017-08 After School (2017 Version) Higashino Keigo Nan Hai Publishing Co.
28 26 9787544277617 2015-06 Love in the Time of Cholera Gabriel García Márquez Nan Hai Publishing Co.
Not Ranked 30 9787544281102 2016-01 Newcomer Higashino Keigo Nan Hai Publishing Co.
16 6 9787559620125 2018-05 Genius on the Left, Lunatic on the Right (Full Version)(New Edition) Gao Ming Beijing Union Publishing Co., Ltd.
Not Ranked 8 9787550268517 2016-07 Positive Discipline Jane Nelsen Beijing Union Publishing Co., Ltd.
24 21 9787535488473 2016-05 Walk Alone Freely Jia Pingwa Changjiang Literature & Art Press Co.,Ltd. 2 3 9787544270878 2014-04 Miracles of the Namiya General Store Higashino Keigo Japan Nan Hai Publishing Co.
6 4 9787544291163 2017-08 Journey Under the Midnight Sun (2017 Version) Higashino Keigo Japan Nan Hai Publishing Co.
5 5 9787544291170 2017-08 One Hundred Years of Solitude (50th Anniversary Edition) Gabriel García Márquez Colombia Nan Hai Publishing Co.
8 8 9787544267618 2014-06 The Devotion of Suspect X Higashino Keigo Japan Nan Hai Publishing Co.
9 9 9787544285148 2016-10 Malice Higashino Keigo Japan Nan Hai Publishing Co.
13 11 9787544291224 2017-08 After School (2017 Version) Higashino Keigo Japan Nan Hai Publishing Co.
11 12 9787544277617 2015-06 Love in the Time of Cholera Gabriel García Márquez Colombia Nan Hai Publishing Co.
19 14 9787544281102 2016-01 Newcomer Higashino Keigo Japan Nan Hai Publishing Co.
Not Ranked 1 9787550268517 2016-07 Positive Discipline Jane Nelsen United States of America Beijing Union Publishing Co., Ltd.
Trajectory , based near Boston, is an importer of Western-language ebooks and audiobooks into China. Trajectory is also helping China’s largest publishers export their books and audiobooks through a proprietary global ebook distribution network that includes hundreds of retailers as well as library and school distributors. Trajectory recently has added copyright services, both for content going into China and for exports from China to the rest of the world. Up until July 1, 2018, this data has been estimated by OpenBook to represent some 50 percent of the total sales activity in China. OpenBook draws point-of-sale data from more than 6,000 bookstores in China, including a total 3,496 physical bookstores representative of all the provinces in China except Tibet, Hong Kong, Macao and Taiwan. 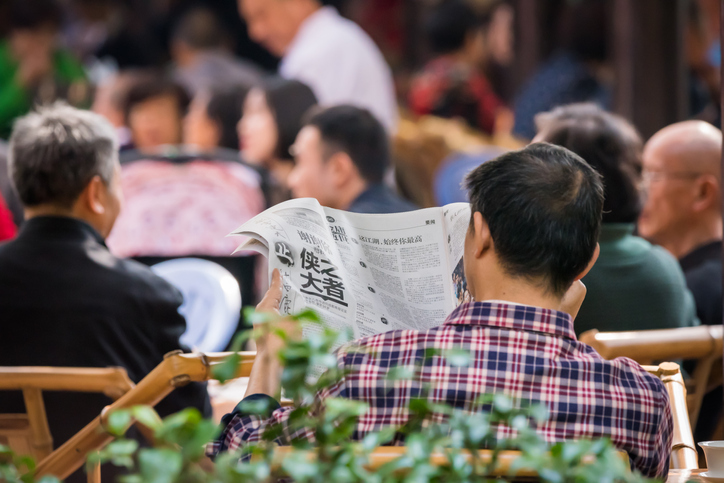 China has some 500 or more publishers in operation today. Most of them, Trajectory CEO James Bryant clarifies, are government-owned. Private publishers are required to generate ISBNs for their titles from a publishing company that is government-owned—which, in other words, creates a system in which all ISBNs are in one way or another registered through government channels. The government approves each book published in China. More China bestseller reports from Publishing Perspectives are here.